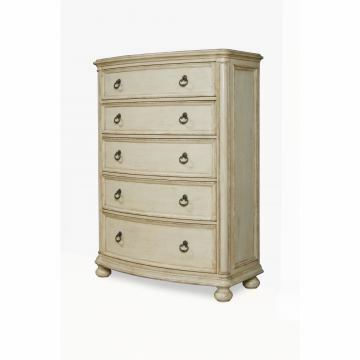 Inspired by the provincial regions of France and England, this chest has a soft, serene yet refined look. 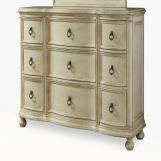 The hand-distressed Linen finish adds to the antique style charm of the chest, as do the Antique Brass finish ring pulls. 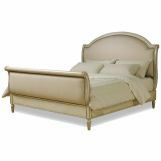 Softly curved half-round posts frame the graceful bowed front, while bun feet gently raise the chest. 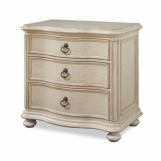 Each drawer has superior English dovetail joinery and strong corner blocks for lasting function.